We’ve all enjoyed those entries in the “Crime Wave Continues” section of this paper, where someone’s misadventure with law enforcement can be trace to being in an “intoxicated” state. The toxin, in most, cases is alcohol. An “intoxicated state” is being poisoned beyond the point you can function normally. Our laws cite a level of precisely 0.08% alcohol in your blood as what it takes to be legally intoxicated, but different substances are toxic at different levels and virtually anything can be toxic at some level of concentration. Excessive drinking of water, for instance, can cause an electrolytic imbalance called hyponatremia which can be fatal. Water is poisonous, but it takes a lot of it. Botulism toxin, the world’s deadliest known poison, is lethal at a dosage of 40 to 90 nanograms, which means it would take about five pounds of it to kill everyone on earth. Grain alcohol, or ethanol, the toxin we drink as a beverage, is generally produced by the metabolic processes of yeast, a fungus that consumes sugar and excretes alcohol and carbon dioxide. In a closed system, like one of those barrels down at the winery, winemaking yeast will consume the sugars in the grape juice and multiply like gangbusters, excreting waste until the concentration of alcoholic yeast poop reaches 12.5%. Then they die, intoxicated to death by their own excrement. The carbon dioxide they produce would kill them too, eventually, but the alcohol is more poisonous, so those bubbles of carbon dioxide in Champagne aren’t what did in their producers, though they do help with the quality of the headache you can sustain. Carbon dioxide, the second major component of yeast poop and a part of every other oxygen- dependent creature’s exhalations, is a gas that makes up a tiny little bit of the atmosphere, about .039% on an average day at sea level, which doesn’t make it a big part of the air around us. It is, however, the fifth most common gas in every breath we take, right below argon, so it’s assumed to be harmless. On the toxicity scale, from botulism toxin to water, CO2 is way down toward the “water” end. The relative concentration of carbon dioxide in the air doesn’t become noticeably poisonous to humans below one percent, which would be a tremendous increase in the current atmospheric content, more than the most wild-eyed global-warming fanatic would predict. If you’d like to know what a 1% concentration of CO2 feels like, put a bag over your head for a couple minutes and your own metabolic processes, which are a lot like the ones the yeast use, will do that for you. Researchers say this level can have a “narcotic” effect over time, though to me it feels like simply “suffocating.” The concentration of carbon dioxide in the atmosphere has gone up by about a third since mankind got the hang of firemaking on an industrial scale, but it has a long way to go before you could become intoxicated by simply breathing. Nobody is arguing about whether the level of CO2 in the air we breathe is going up. That is a measurable fact. The “controversy” is about whether that matters or not. The idea that one creature, even the powerfully numerous human race, could actually determine the make-up of the atmosphere of an entire planet, is balderdash to many, but it’s happened before. The oxygen-rich atmosphere we rely on didn’t show up on the planet until cyanobacteria, also known as blue-green algae, started producing it as a product of their own metabolism, which isn’t at all like yeast’s. These little devils can make their own food through photosynthesis, just like a plant, and what they make it out of is carbon dioxide, which is like flour to them. Oxygen is their primary waste product and it took uncountable jillions of them something like 2 billion years to enrich the earth’s atmosphere with the highly reactive gas which makes human life possible. Oxygen will react readily with all kinds of other elements, and the fact that it all hasn’t, that it remains available in the atmosphere not only for the burning of gas, oil, coal, wood and other fuels, but the respirations of 7 billion humans, had scientists puzzled for decades. Elsewhere in the universe, oxygen is pretty much always locked up in the eternal embrace of some other element – iron, sodium, or even uranium, for heaven’s sake. You get a molecule of oxygen and it will be trying, with all its might, to burn your house down, rust out your fenders and oxidize your retina. Oxygen will bond with just about anything, so scientists who are looking for evidence of life on other planets seek out its signature spectrum because it takes energy to create. Carbon dioxide, on the other hand, gives up energy when it is created, and once formed, is as stable as a sumo wrestler. The game is heavily weighted toward the formation of carbon dioxide and there are vast stores of it, in liquid and gaseous form, “sequestered” in places all over the earth, or hidden as a solid in other compounds of carbon. In 1986 some of the CO2 hidden in the mud at the bottom of Lake Nyos in Cameroon was shaken loose, like popping the top on a shaken can of soda, and 1,700 people died of CO2 poisoning in a matter of minutes. We are all hoping that sequestered carbon stays where it is. We are betting the farm it will, but there are more immediate problems than this. CO2 is a lot more toxic to some other forms of life than it is to us. Its increased concentration in the atmosphere affects chemistry of the oceans, making seawater more acidic. Acidic water dissolves the homes of corals and shellfish and makes it harder for oxygen producing microorganism to do their work. The gas is transparent to most light but reflects infrared, so , like a blanket, it tends to concentrate radiant energy, increasing the amount in the atmosphere for all sorts of mischief; hurricanes, tornados, floods and drought. Dry areas get dryer, glaciers melt, chunks of ice the size of Rhode Island break off the polar ice caps, and Texas goes up in flames. The Greenland ice sheet is losing 47 cubic miles of ice every year, raising sea level, diluting the surrounding salt water and messing with deep sea currents. We’ve gotten very good at recording these changes, but we are still figuring out the basics of how everything fits together. In the sixties we discovered that a store of carbon estimated to be the size of all the various fossil fuels combined was secreted away in vast deposits of methane hydrate, or “fire ice,” a solid formed in cold, high pressure conditions, like those found in deep oceans. A warmer ocean couldn’t retain these millions of tons of toxic gas and might just let it out it in deadly belches rather than a little at a time. Who could have guessed? In 1986 researchers found that a single species of cyanobacteria, prochlorococcus, carries out half the oxygen-producing photosynthesis in the open ocean. There are probably pieces of the puzzle this size still undiscovered. During most of the time since homo sapiens have been leaving tracks around the globe, we weren’t a big factor in the contest between the carbon emitters and consumers. With the plants and certain microbes breathing out oxygen and the rest of us, from amoebas to humans, changing it back to CO2, things were balanced pretty well. It worked out. A few thousand years ago a small change in average temperature melted the ice sheets that were covering most of the temperate zone and opened up vast tracts of productive land that set the stage for an explosion of terrestrial life. About 15,000 years after the glaciers left, let’s say about 1750, the number of humans stood at approximately ¾ billion. Now it is roughly 10 times that number. Back then the average person breathed and burned maybe 2 tons of CO2 into the atmosphere every year. Now, in the US, it’s about 20 tons per person. That’s ten times the number, many of us putting out ten times the amount. Roughly 100 times more carbon emitted, for an American, in about two and a half centuries. At the same time we have dramatically altered the fundamentals of the natural world, largely at the expense of the oxygen producers. “Assault” is not too strong a word. About half of the world’s tropical forests are gone, their carbon released into the air, their oxygen production finished. We’re busily at work on what’s left. Most of the oxygen in the air is produced by microscopic organisms in the sea, but you remember what we are doing to that. A quarter of the world’s coral reefs are dead already, but we still count on adding another 3 billion humans this century, part of a growth curve biologist E.O. Wilson described as “more bacterial than primate.” It’s hard to think that these factors cannot have some significant effect on the environment. It’s easy to conclude that we are headed down a steep slope toward a cliff. As a people, we Americans have decided it’s not a problem. We’ve decided we just won’t believe it. We’ve decided to not to make the smallest effort. We won’t even stop burning gas for fun. A proposed pipeline to the Gulf coast would deliver a supply of fuel from tar sands in Canada whose extraction roughly equals the amount of carbon released by burning it. As an added bonus, tar sand mining will devastate vast reaches of temperate forest. Here’s an opportunity to double the intoxicating effects of every tank of gas, and we’re all for it. It’s giant step backwards in our half hearted efforts to limit the poisonous effects of “progress” and, of course, enjoys broad support among those who could benefit in the short term. Republican politicians, who have made denial of climate change an article of faith, recently linked an acceleration of the Keystone pipeline approval process to a popular middle class tax cut. The short term is all we can see. 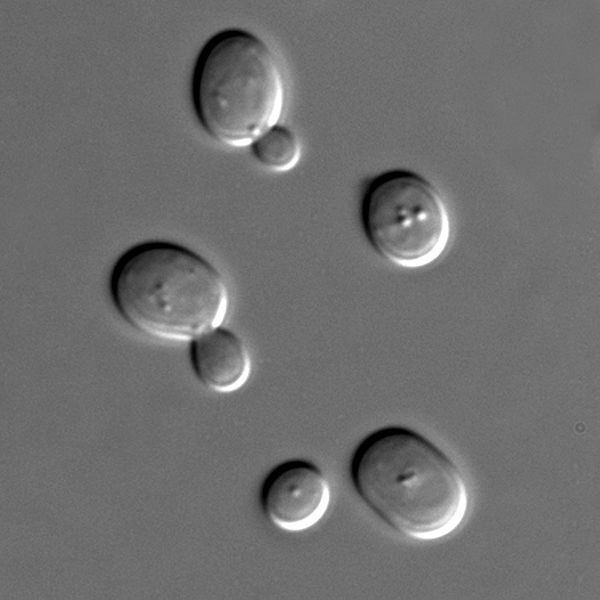 It seems odd that our species, blessed with consciousness and cognition and assumed by many to be beloved of God, could behave so precisely like yeast.